The lawyer who represented two former University of Maryland football players last year after they were accused by a female student of sexual assault said Friday that he was hired by coach DJ Durkin and had “very minimal contact” with former athletic director Kevin Anderson throughout the process. The lawyer—Donald Maurice Jackson, of The Sports Group—said he was involved in an eligibility case with a member of Maryland’s men’s basketball team when he was approached to help with the sexual assault case, and assumed everything was on the up and up in part because his presence on campus for the basketball case had presumably been communicated to Durkin through appropriate “channels.” The only contact described between Jackson and Anderson was an email Jackson later received from Anderson informing him that the university “was severing ties with him,” after he’d already collected $15,000 from the football team. Anderson would make a convenient scapegoat in this story. 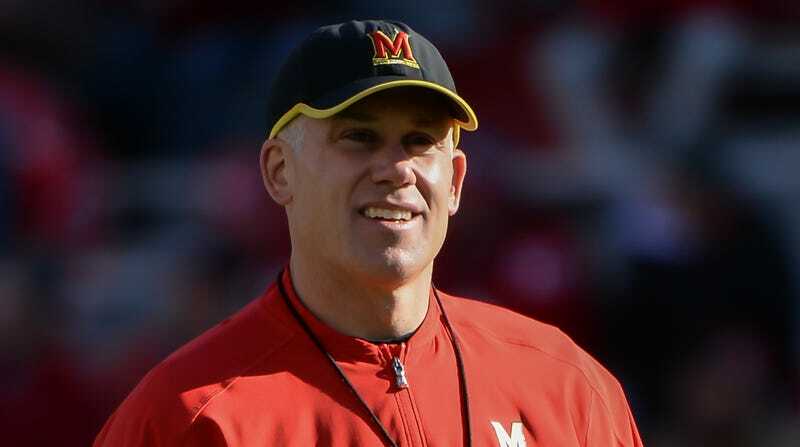 He resigned as athletic director in April of this year—before the death of Jordan McNair, and well before the report of Maryland’s “toxic” football culture—and so redirecting responsibility for this misappropriation of funds Anderson’s way would allow the school to keep this scandal away from Durkin, who is currently still on administrative leave while the school investigates the condition of his football program and the role it may have played in McNair’s death. Maryland’s board of regents recently assumed control of that investigation, and expanded the investigatory panel by adding five new members. Board of Regents Chair James T. Brady described what has been alleged about the football program as “completely unacceptable,” and vowed to “make the decisions necessary to safeguard and support our students.” This is important, because Maryland described the allocation of athletic department funds in the sexual assault case, heretofore pinned on Anderson, as interfering with the school’s “commitment to a fair and impartial handling of all such matters,” benefiting football players at the expense of their alleged victim, a fellow student. The revelation that Durkin might’ve been responsible for what the school already described as a “serious lack of judgment” when it was attributed to Anderson will certainly not do much to counteract the depiction of Durkin’s football program as utterly out of control.